When the day comes when the man who you love above all else gets down on one knee and asks you to marry him, so many things will start going through your mind. The excitement, the promise of a new and exciting future, a family, the wedding, the wedding budget, and… the dress. The dress that every girl dreams about, the one that will make you feel like a princess on your big day. Chances are, though, that when you were dreaming of your dress, you didn’t ask yourself, “what will my dress be made of?” Yes, we conceptualize the fabric—flowy or stiff, shiny or lace– but we rarely think about the actual material. Today we will. Fabrics and materials make an extraordinary difference when it comes to bringing the conceptualization of a dream dress to life. As a bridal stylist as Sealed With A Kiss, I have had the pleasure and honor of watching our owner and designer, Susan Sorbello do just that. She shows up with her collection of materials. Lace, beads, silk…. true treasure chests of the finest riches for a dream being turned into reality. Listening to Susan describe the materials–the Sophie Hallette lace, the silk, satin, Swarovski crystals—is one of my favorite parts of the process. Each component signifies a wish here, and a hope there, and as they blend together they become a perfect embodiment of the love, marriage, and future that sparked the dream that brought the dress to life. It is a bride’s way of translating all of her hopes and dreams into something visible and tangible that will represent her in front of her friends and family. Once I started learning, watching, listening, and studying I started understanding why Susan only works with the best of fabrics and materials, and why she uses certain materials for certain design elements. The use of natural fibers is specifically for fine garment making, and because of this they behave very differently than a synthetic fiber, though some synthetic fibers can be more appropriate in certain situations and uses. Not only is this knowledge used for creating custom works, it is used in hand picking each dress and designer that we carry. Materials matter. They are the building blocks to dress and dreams. Contact us to discuss your dream dress and let us help you develop your vision, or click here to request an appointment. Our Sealed With A Kiss bride Meghan was certainly one lovely bride! We’re pleased to share some photos from her special day, courtesy of Melissa Durham Photography. Trunk Show Alert: The dresses are here! 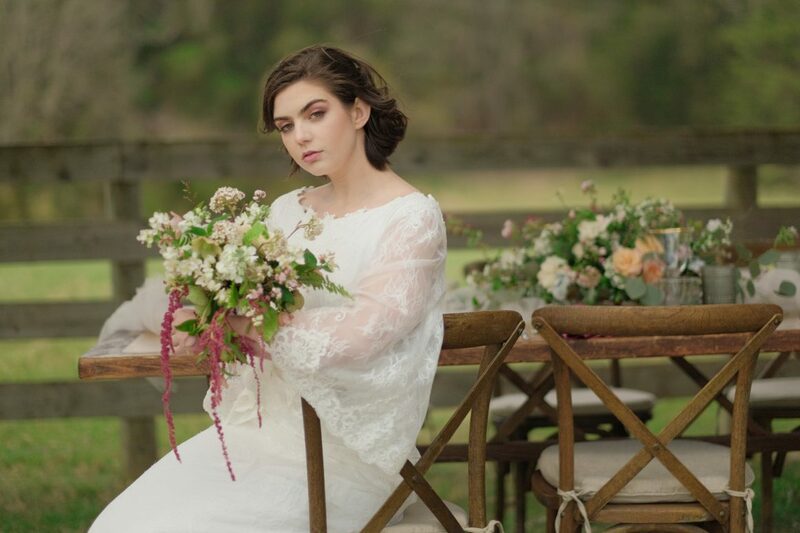 The Justin Alexander dresses for this weekend’s trunk show have just arrived, and we thought we’d give you a quick peek at just a few of the designs you’ll see in store! Like what you see? Then be sure to give us a call at 434-9795683 to schedule your trunk show appointment before it’s too late!